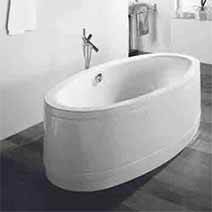 Bette are manufacturers of the highest quality bathtubs available. They combine engineering prowess with design expertise, creating a range of baths that offer unparalleled form and functionality. 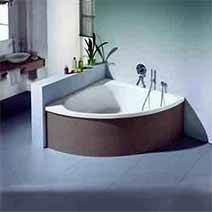 Bette have over 65 years of expertise in designing and crafting precision engineered, beautifully stylish Bette baths, with highly popular ranges of steel baths and freestanding baths, including the Bette Ocean and Bette Starlet ranges. 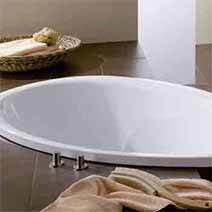 They also manufacture an excellent range of Bette shower trays. 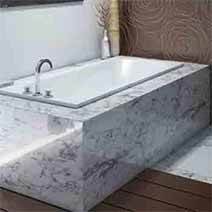 If you are designing a luxury bathroom and need a bath that fits the bill, you can’t do better than Bette. Bette is a German designer of premium, expertly engineered bathroom components, and has been leading the market since the 1950s. They combine architectural expertise and know-how with beautifully inspired, artistic designs. They are concerned with producing the most aesthetically appealing and functional product possible, and are constantly challenging themselves to innovate to the next level. One reason to choose Bette products is their patented BETTEGLAZE® technology, which gives their bathtubs an incredibly beautiful, and magnificently strong, finish. BETTEGLAZE® is harder than marble, steel and plastic, is non-porous, and is resistant to abrasion and UV rays. It is without a doubt the safest, most hygienic, and glossiest finish that you can choose for your bathroom. 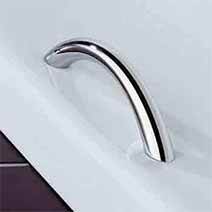 Plumbing made easy We offer a wide range of installation systems to connect our bath products with the bu . . .